Descant to the hymn tune ST PATRICK'S BREASTPLATE. Audio: organ meditation/introduction + hymnal half verse + hymnal verse + Deirdre (2vv) + Descant verse (@2:40). 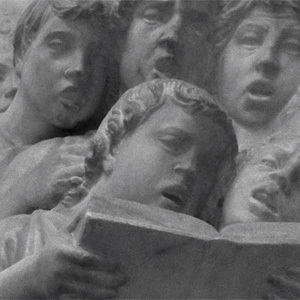 Free score with instrumental intro and harmonized descant with choir part. Free score. The text is in the form of a Lorica, a traditional Celtic form of protective prayer going by the Latin word for armor, hence the English name 'Breastplate.' 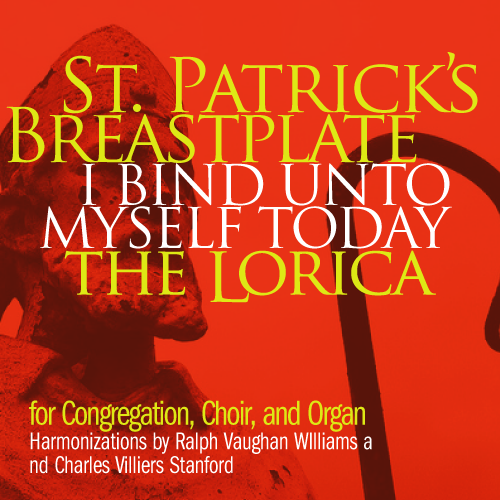 The Lorica sancti Patricii is found in the 7th C. Liber Hymnorum, in an ancient Celtic dialect, attributed to the 5th C giant of Celtic Christianity. One of the earliest citations appears in the 9th C Book of Armagh where the recitation of the Lorica sancti Patricii is referenced as one of the four means of expressing the appropriate liturgical remembrance. (You can read more from Irish Diocese of Meath, which has provided a translation in an informative commentary.) Following several failed attempts at rendering this into a congregational setting, success was achieved by Charles Villiers Stanford, who assembled several traditional tunes of his Irish homeland drawn from a collection by George Petrie, which Stanford was editing at the time. The resulting arrangement (all eight pages of it!) can be found in the Church of Ireland's Church Hymnal; many hymnals publish a harmonization for the 1906 English Hymnal by Ralph Vaughn Williams; the Irish Church Hymnal and Hymns Ancient and Modern use one of Stanford's settings. The text was translated into metrical form for singing by Cecil Frances Alexander (Once in Royal David's City, All Things Bright and Beautiful), combining iambic and trochaic syllabization with a mixture of LM and LMD passages. I bind unto myself today with integrated choir part, free.